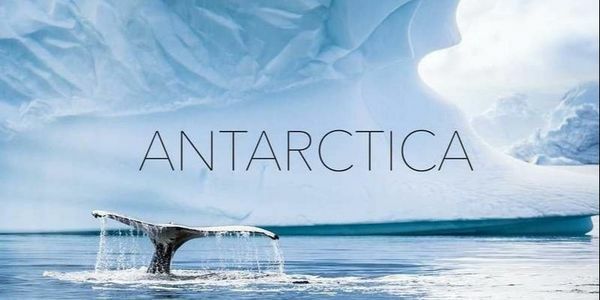 petition: Antarctica: The White Continent. Let's make change. Antarctica: The White Continent. Let's make change. We are students from New Zealand currently studying social studies. We have become alarmed by actual and potential developments in the great southern continent, which will have a huge impact on the continent over the next 30-40 years. We want to inform you of the problems arising from the current Antarctic Treaty System, which requires amendments prior to the current review date which currently stands at 2048. We wish to influence you to propose amendments to the current treaty at the next Antarctic Treaty Consultative Meeting. The Treaty was written 58 years ago and is dated; it no longer addresses many of the issues faced in Antarctica. The Treaty was first opened for signature on 1 December 1983 with 12 parties signing the Treaty. The treaty now has 53 states involved, with 29 consultative parties and 24 non-consultative parties. The Treaty covers everything south of 60° South latitude, with seven countries having land claims, with many overlapping. Consultative parties have voting status and non-consultative parties do not, although they are entitled to an observer with access to all parts of Antarctica. In the mid-1950s, a group of scientists convinced the United Nations to institute an event to promote cooperation in the sciences. During the International Geophysical Year, scientists from 12 nations worked together in Antarctica. The project was considered such a success that it was followed by the drafting of the Antarctic Treaty in Washington in 1959 to continue the legacy of cooperative scientific research in Antarctica. The purpose of the Treaty was to guarantee that "... Antarctica shall continue forever to be used exclusively for peaceful purposes and shall not become the scene or object of international discord." The treaty prohibits nuclear explosions, radioactive waste disposal, and military deployments in the Antarctic Treaty Area (ATA). The treaty is also a way to encourage continued international cooperation in scientific research. However, following the addition of many research stations and other influences. We believe the Treaty needs amendments to honour the original purpose and survival of Antarctica continent. We believe that the Treaty needs to be amended in the following ways; firstly the current Treaty does not currently include the seas surrounding Antarctica causing major problems in overfishing, damaging the natural ecosystems surrounding Antarctica and jeopardising the continents purity. There are some major problems regarding the interpretation of the Treaty and what it involves, as well as the potential problems arising from large-scale Antarctic developments to discuss prior to the 2048 Treaty review. Fishing in the waters surrounding Antarctica are regulated by The Commission on the Conservation of Antarctic Marine Living Resources, which began after the signing of the Convention on the Conservation of Antarctic Marine Living Resources in 1980. The Convention does not prohibit fishing, its primary mission is conservation, unlike the Regional Fishery Management Organizations who manage fisheries, disclosing that fishing should only be undertaken if it is reasonably certain that the harvest is sustainable and that the ecosystem will not be harmed. Large overfishing of Antarctic krill and toothfish is currently being carried out by many countries that lack the necessary resources to provide for their people. Japan have continued whaling in Antarctic waters following the ban on commercial whaling put in place in 1985, claiming their whaling is for 'research'. By amending the current treaty and preventing the fishing of all marine life in Antarctic waters this will ensure the longevity of the marine life and ecosystems that rely on these species. This will ensure that Antarctica is kept as a pure environment for research and discovery. The current Treaty is due to expire in 2048, creating a large expansion of many countries presence on the continent. This can be seen in China who have established two new stations over the past two years and Russia who have established new stations as well as expanding on those established by the former Soviet Union. The Chinese, unlike those renovations of the Russian stations, are building completely new stations that reflect the country's self-image of it's growing international ambitions and power. These bases are claimed to be for scientific reasons, however, Beijing admits that its push for Antarctic influence plays into future operations aimed at ensuring access to resources, including plentiful fishing waters as well as mineral and hydrocarbon wealth. This region is estimated to contain 200 billion barrels of oil and is the largest source of fresh water in the world, making establishing dominance on this continent important before 2048 and the treaties expiration arrive. This problem could be addressed in creating an independent non-biased review committee that reviews all proposed research stations in order to decide which stations should be established and ensures that they are established for valid reasons. This could be further enforced by limiting the number of research stations that each country establishes over a 10 or 20 year period. This would ensure that the neutrality of the continent is preserved. There are many articles within the Treaty that speak of the importance of scientific investigation and research on the continent, however these contain no clarification of what is scientific research and what strays from this. In clarifying what research on the continent involves, the treaty becomes increasingly valid. This will also clarify the circumstance under which research station are established. We believe that these issues could be resolved through an amendment of the Treaty at the next Antarctic Treaty Consultative Meeting. This review will need to take place in a neutral country, therefore all countries can be represented and the review will be free of bias. Another important point is that the holding of documents related to the Antarctic Treaty System should be in all contracting parties rather than only within the United States. This will ensure that all countries involved will have equal access to the documents and ensures that no country has any advantage over others when decisions are to be made. This ensures that the necessary amendments are implicated well prior to the 2048 Treaty Expiration, or if the continent is annexed prior to this.